Most muscle pain is accompanied by inflammation, but not all inflammation is a result of muscle pain. If your case of inflammation is due to other causes, such as a viral infection, bacterial infection or hormonal imbalance, the five essential oils listed in this article may only give you minimal relief. Addressing all the causes of inflammation would go beyond the scope of this article, but a short list to treat viral infection inflammation would be ravensara, hyssop and thyme, and for a bacterial infection, consider German chamomile and lavender. Essential oils are very potent, particularly the 100% pure therapeutic grade essential oils, which are the only ones you really should use. Not only would it be costly to use them straight if you have a large area to treat, some of them could be irritating to your skin if used that way. Instead, add the essential oils to a carrier oil, such as extra virgin olive oil, almond oil, or coconut oil. Mix this up in a small glass jar to use as you need it, or pour a carrier oil into the cup of your hand and gently drop 1-2 drops of essential oil on, rub together, than apply where needed. You can also mix different essential oils at one time to get the different benefits that each affords. Rub your diluted mixture where you are experiencing the pain and inflammation, or you can put it on your brain stem or the appropriate vita flex points on your feet. This latter option is a great way to deal with inflammation that seems to be hitting you just about everywhere. I like to do this at bedtime and put socks on so as not to get the oils on my bed linens. It makes for a pain free night’s rest that you won’t believe! Putting it on your brain stem is a great way to stop pain fast and reduce the production of noradrenaline and cortisol which can be out of balance when the body is stressed. There are many essential oils that have the right chemical constituents to reduce inflammation and block pain. Everybody is a bit different when it comes to what will provide the best results, and of course that also has to do with what is causing your inflammation. Five of the most common aids for muscle pain and related inflammation are copaiba, peppermint, nutmeg, helichrysum, and a blend from Young Living called Deep Relief. 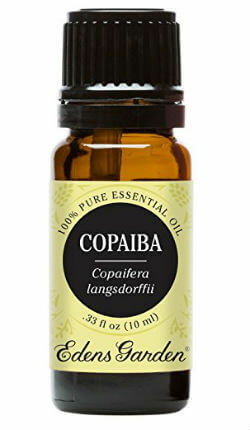 Copaiba (Copaifera reticulate) has an amazing honey-like scent making it a common ingredient in perfumes and soaps. It is a very powerful anti-inflammatory and has been used historically both internally and externally for treating inflammation as well as numerous other health conditions. Pain can take a toll on you mentally as well, so it is an added benefit that copaiba’s scent also combats nervous tension, stress and anxiety. It is also believed that when combined with other essential oils it amplifies their effectiveness. The list of things that peppermint (Menta piperita) essential oil is good for is as long as your sleeve. It is well known to be good for digestion, but the list continues because it is a powerful anti-inflammatory. Because it is safe to take internally, it is ideal for inflammation due to infections, but it is just as useful topically for muscle pain. 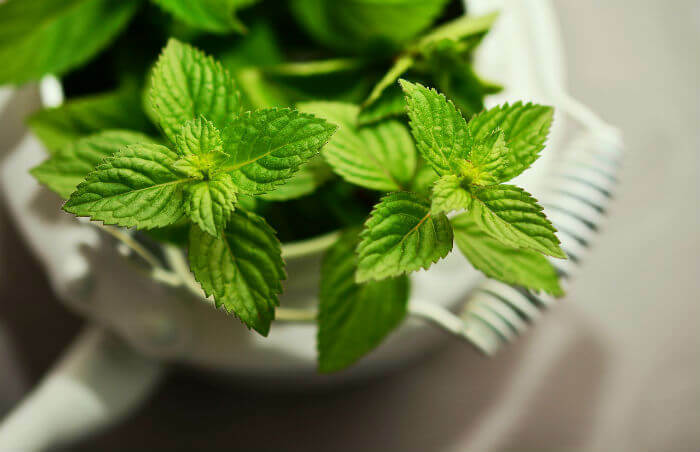 Peppermint reduces pain and inflammation, as well as increases circulation and accelerates healing. Its scent is a great pick-me-up as well which can be rather helpful when dealing with pain. 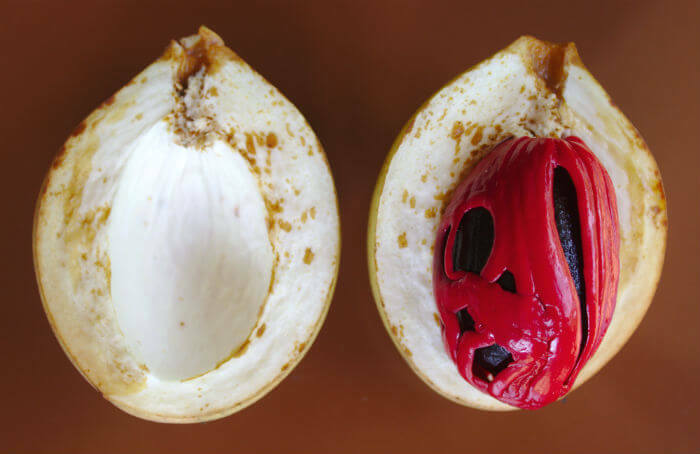 Nutmeg (Myristica fragrans) is good for more than baking and Middle Eastern cuisine. It has been used throughout history to treat a variety of health conditions. There is also a long list of health benefits attributed to nutmeg. It is a strong anti-inflammatory, pain reliever, and also increases blood circulation. It has been found to be especially helpful with chronic inflammation, such as with arthritis. Nutmeg can be part of your topical treatment as well as taken internally to gain its other health benefits at the same time, such as maintaining a healthy brain and digestive system. 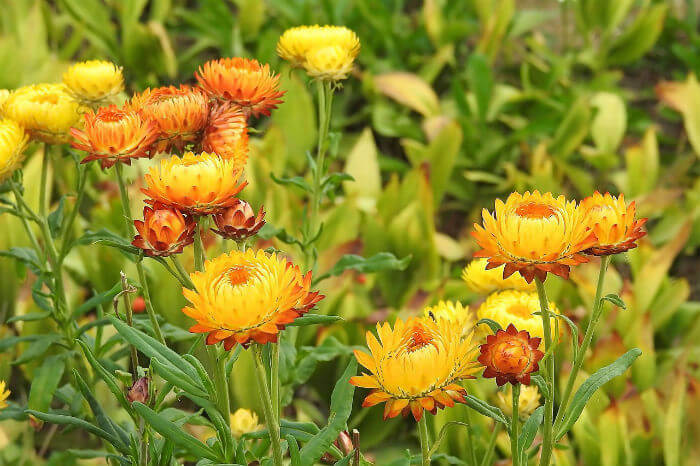 As is the case with all essential oils, helichrysum (Helichrysum angustifolia var. italicum) is a multi-tasker. In addition to being useful as a pain reducer, it is also wonderful for removing toxins which can also be a contributor to inflammation. Its scent is uplifting and is believed to be good for releasing anger which can certainly be a factor when one is dealing with pain. Don’t go for the cheapest options out there on this one, because the supply can be erratic which is why a pure offering will be costly. Anything else is likely a synthetic and won’t have the same benefits and could actually be harmful. Getting a blend is often an ideal option when you want to have the best chance at relief, and this is definitely the case with this product from Young Living. It is conveniently packaged in a roll-on that is already the perfect dilution (uses fractionated coconut oil and virgin coconut oil) and easy to take with you anywhere to apply as needed. The blend is packed with oils that are anti-inflammatory, promote health, invigorate, help bone and joint pain, improve circulation, and relieve muscle pain. It has peppermint, lemon, balsam fir, copaiba, clove, wintergreen, helichrysum, vetiver and palo santo. You’ll love its cooling sensation! Finding the best essential oil for inflammation or even just the best essential oil for muscle pain really isn’t a difficult process. Even if you obtain an oil that doesn’t seem to aid your particular problem, these essential oils are multi-use so you are sure to find other uses for them as well. I actually ended up using the nutmeg in some recipes and loved that one drop was all I needed. I love adding some peppermint to my hot cocoa too. Turning to essential oils for better health is the best thing anyone can do.